As a sign of the times, Sobrato is finally confident enough in the Downtown office market that they are planning to finish off a project that was started 16 years ago. The River Corporate Center was always envisioned as a three-building campus--in fact, the parking has already been built for the third building. The dotcom crash put this project on hiatus leaving only two mid-rise buildings completed. 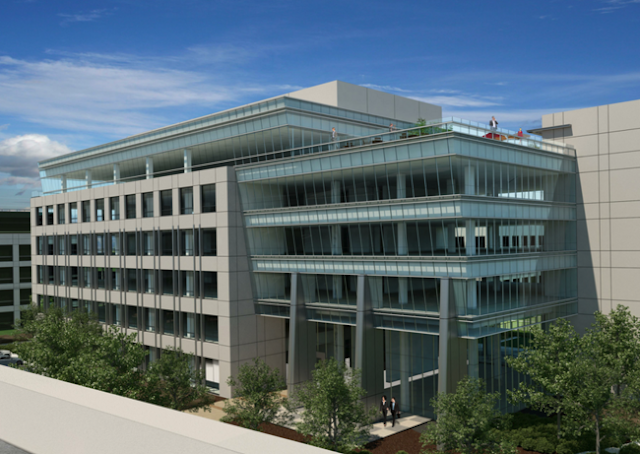 Building #3 will be located at 353 Julian St. and clock in at 190,000 SQFT. The six-story building has upgraded amenities over what was originally envisioned (also a sign of the times). The roof will have an impressive terrace and garden with a view of Downtown San Jose and the ceiling heights for each floor have been increased. 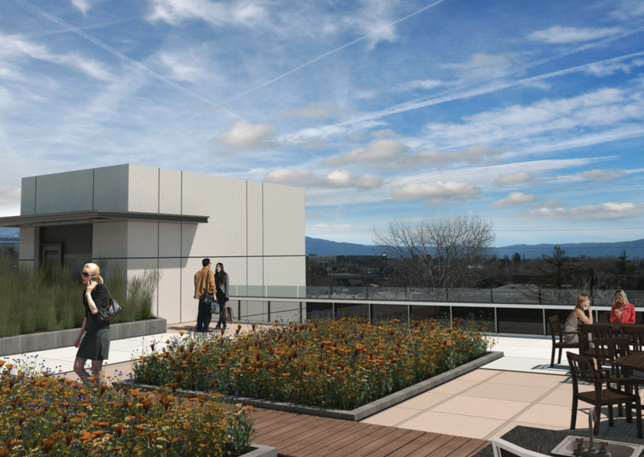 Sobrato plans to build this on spec, meaning it is going up even without a tenant. 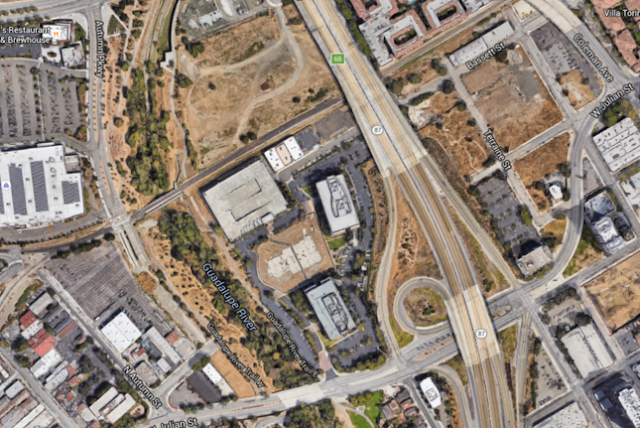 Given its proximity to Downtown and the future Diridon megatransit hub, it is only a matter of time until its floors fill up. Downtown vacancy for "Class A" space is also 13.4%, an eight year low. Clearly the area is getting traction with companies, a trend that I hope will continue for a long time to come.